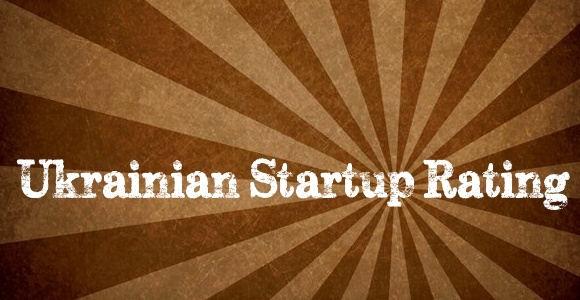 Last week I rated startups for the Ukrainian startup rating, organized by Denis Dovgopoliy. Much has been said about the usefulness (or lack of such) of the startup ratings on the pages of GoalEurope and I have promised myself never to run one. However it was an interesting experience to be one of the 35 experts who actually evaluated them. Just like any expert, I had limited time to evaluate 170 companies. Personally I knew teams of only a few startups, some of whom I saw participating at the IDCEE. I was also aware of the companies, which have been backed by the local venture capital firms, or have gone through accelerator programs. Alexa traffic rating helped. Quite a few startups I have nominated made it to shortlist. Without full prior knowledge of the majority of these companies, it was a challenge to say the least. I suppose only few investors and accelerator folks can really do justice, considering that they may have come across the teams one way or the other. Without further ado, here are the shortlists of the Ukrainian Startup Rating 2011 in alphabetical order. The winners will be announced at the iForum tomorrow. In addition to BPMOnline, Expopromoter, Runfaces and Zakaz there are some new names.